Many women in the Kibera community dwellers are widowed, single or separated with many children to look after. These women need to be empowered to sustain themselves and their families. Our womens empowerment programs is our third largest program and is set to directly impact 50 women living with HIV/AIDS with the view to expand th e program in the future. We believe that empowering these women with the skills they need to create an income will create positive impact on the whole family. 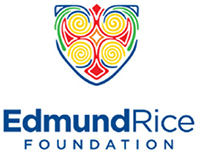 A BIG Mirror of Hope thank you to the Edmund Rice Foundation Australia and Foundation le Pont Canada who currently fund the womens empowerment program. Explore here to read more about our supporters.